Brainwashed - Dead Can Dance, "Dionysus"
This second release from the recently reawakened Dead Can Dance is quite a delightful surprise, radically departing from its uneven predecessor and displaying a striking degree of creative reinvigoration. Rather than another stab at recreating classic DCD fare like Aion, Dionysus is a conceptually rich and structurally inventive plunge deep into the folklore and spirit of Dionysian rituals and festivals. 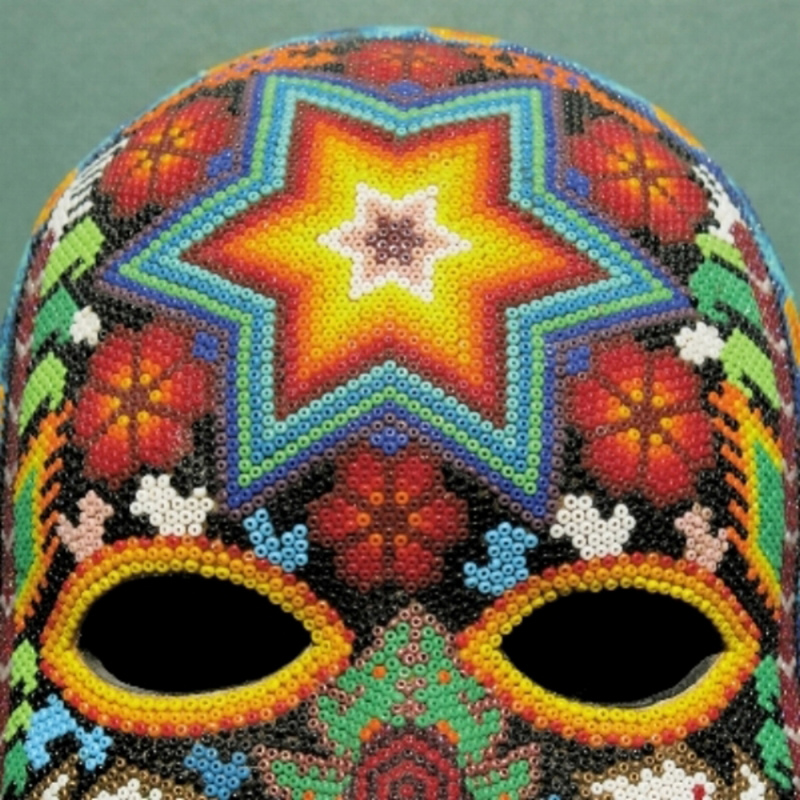 An intriguing concept does not necessarily lead to an intriguing album, of course, but Dionysus finds Dead Can Dance at the peak of their instrumental powers, unfolding as feast of wonderfully vibrant rhythms, esoteric instrumentation, and inspired arrangements. It is quite a remarkable and improbable achievement, as it sounds very little like prime Dead Can Dance, yet absolutely feels like prime Dead Can Dance. If Dionysus had come out in the band’s golden age of the late '80s and early '90s, there would most certainly be a small but devoted contingent of fans that viewed it as dark horse contender for the duo's finest album. If I am being completely honest, I truly did not expect Dead Can Dance to ever record another great album, as the feeling I got from the reunion tour and Anastasis was that Brendan Perry and Lisa Gerrard are now far more like two loosely entwined solo artists who periodically collaborate than they are a united creative force these days. For the most part, Dionysus does little to dispel that sense, but it definitely seems like the duo have found a way to flourish within those conditions. Based on all that I have read about this album, it is quite clear that Perry was the album's driving force and that it was a labor of love birthed from a deep fascination with how pagan/Dionysian beliefs have spread, transformed, lingered, and evolved in the wake of the Roman Empire. Perry was originally drawn to the theme by European spring and harvest festivals, but the reach of the album seamlessly dissolves boundaries in culture, time, and space like only Dead Can Dance can do. For example, Perry's field recordings alone touch upon South America, New Zealand, and Switzerland and his musical inspirations are even more widespread, delving into traditional instrumentation that spans just about the entire globe. While there some wonderfully exotic and otherworldly sounds occasionally appear, such as the eerily flute-like see-sawing tones and jungle-like chirps in the closing "Psychopomp," that unusual instrumentation is less of a focus than it is a set of specialized tools that Perry used to get exactly the feel he wanted. In fact, Dionysus is largely a very percussion-driven affair, an approach that is especially effective on the muscular and propulsively off-kilter opener "Sea Borne," which abstractly evokes Dionysus's mythical arrival from The East. While the album's bookends are both quite strong and easy to identify, the delineation between individual pieces on Dionysus is quite a purposely blurry one, as the album is structured as a two-part oratorio with different movements that tie to different aspects of Dionysian myth and folklore. For example, "Dance of the Bacchantes" is inspired by a rite in which women "abandoned their domestic duties for trance-like processions and dances," while "Liberator of Minds" celebrates hallucinogens and "The Forest" is a "call to abandon worldly and material pursuits and return to a primeval enlightened state of being." Happily, Perry opted to keep the narrative arc an abstract and impressionistic one, so this concept album deftly eludes the perils of dubious lyrical content or exposition. Curiously, it does sound like Perry is singing actual words in some language in the two closing movements, but the language is a fictional one, as Perry wanted to "convey emotion beyond the boundaries of language itself." In lesser hands, such a conceit would likely end in disaster. In this case, however, it not only flows seamlessly but seems like a crucial part of establishing the timeless and ritualistic headspace that the album inhabits. Recognizable words would have killed the spell. The music is not quite as liberated from the constraints of existing culture, however, as Perry is quite fond of Middle Eastern scales and melodies. The overall feeling is not entirely Middle Eastern though, as some medieval-sounding touches certainly bleed in, as do some sounds that seem plucked from real or imaginary tribes hidden deep in the heart of a tropical rainforest. At Dionysus's best, all of those threads combine into something that resembles an alternately raucous, sensuous, and ritualistic village dance that pulses with visceral rhythms, call-and-response chants, and primal eruptions of ululating yelps. Admittedly, tt feels a bit weird to love a Dead Can Dance album in which Lisa Gerrard plays a noticeably reduced role, as she only takes over lead vocals on "The Invocation" (I think). However, her voice continually surfaces throughout the album as an added choral layer or to echo or harmonize with Perry's own vocals. That might not sound like much, yet her essence pervades the proceedings in a deeper way, as Dionysus bears little resemblance to Perry's solo work. This simply is not a vocal-centric album in the traditional Dead Can Dance sense, nor does the mood quite suit Gerrard's hammered dulcimer talents and the duo have the good sense not to awkwardly shoehorn in touches that do not belong. In fact, Perry and Gerrard show an almost supernatural instinct for avoiding false notes or missteps, favorably calling to mind a time in the distant past (The Serpent's Egg) when they seemed like an absolutely infallible force of nature and each new album felt like a communion with something deeper and more meaningful than anything the present era offered. There is not a weak moment to be found here, as my sole caveat is that the album feels all too brief at a mere 35 minutes. None of that time is squandered at all though, so it is hard to grumble: if the perfect arc is just over half an hour, then that is the proper length for the album to be. I had hoped that Perry and Gerrard might have some more classic songs or a return to form lurking in their shared future, but Dionysus has easily transcended those modest expectations by feeling like the beginning of an extremely promising second act to their long and illustrious career. Nostalgia and welcome familiarity are great, but reclaiming relevance and forging into compelling and unique new territory is far better.